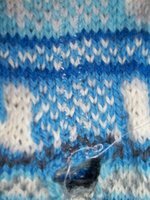 Alianne's Blog: I cut my knitting! Firstly, am I the only knitting blogger on the east coast NOT going to Rhinebeck this year? Okay, here's what you've been waiting for. This is a pretty picture heavy post, so some of the pictures may be small, but you can click on any picture for a larger view. (If I wasn't lazy, I'd even look up how to encode it so the picture pops up in a separate window. Sorry, I am lazy.) Here's the before picture. Ready to be steeked. 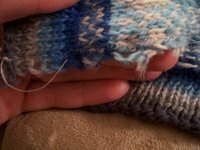 I ended up doing Eunny's hand-sewn steek. 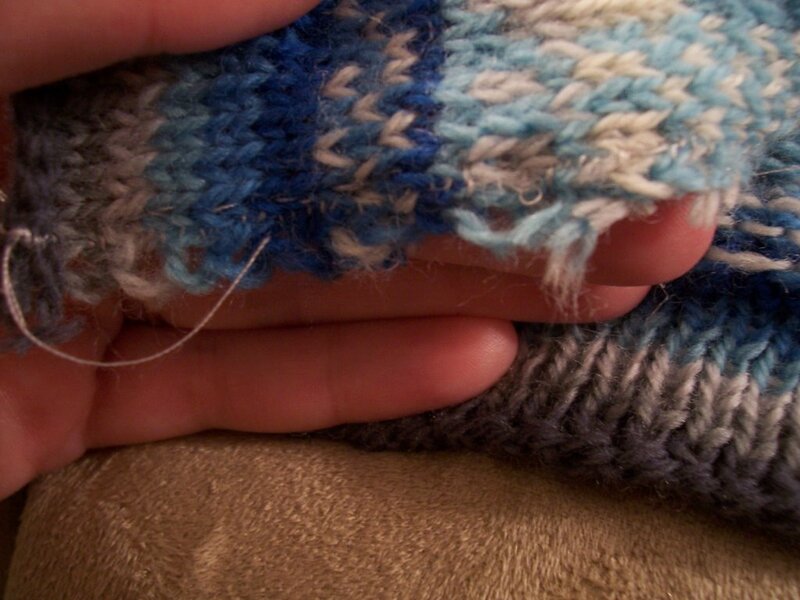 It seemed to have more hold than the crocheted one for my first steek. Here is the ready-to-be-cut sleeve opening. I finished the sewing and I immediately got my little scissors because they are incredibly sharp and not so big, so I could really only clip a float or two at a time. The sleeve opening completely cut. And the vest completely cut. Okay, that really wasn't so bad. You're not the only one home this weekend! What can we console ourselves with? I just hope to make a little progress on my one christmas knit project. It sure isn't Rhienbeck, but we are having a fiber fair in Asheville next weekend. It will be my first trip. I knew you could do it! You will never be afraid to cut again. 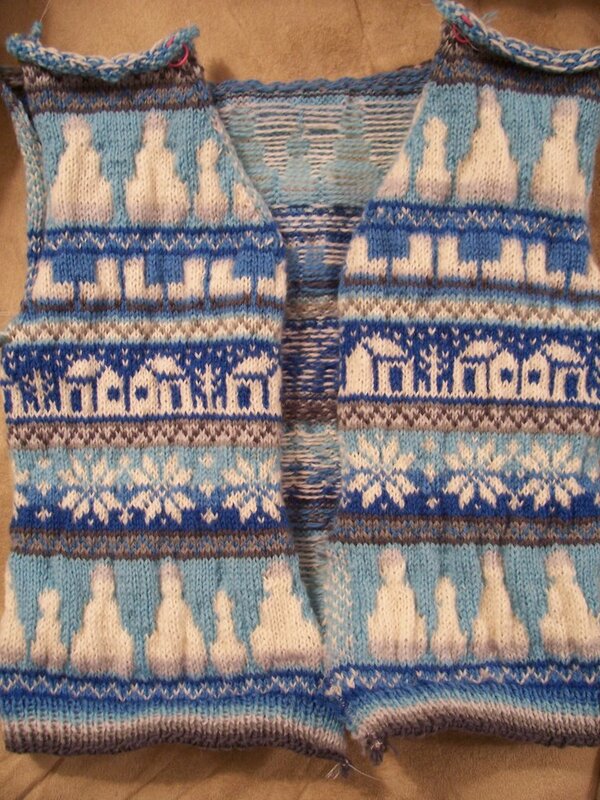 The vest is going to be so cute. I've ordered the pattern, but it's probably going to have to wait until at least next year. brave soul! 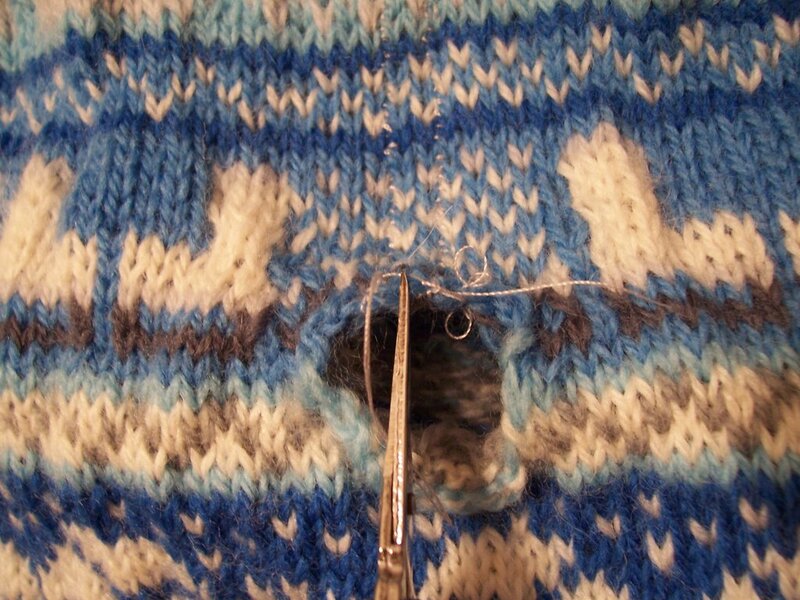 i still haven't mustered up the courage to try steeking. looks great! *whimper* Steeks just scare the crap out of me. Congrats! It looks great. In no time you'll find yourself roaming around the house, scissors in hand, looking for more things to cut. Congratulations on the steek cutting! And no, other East Coasters are not in Rhinebeck! Congratulations on the great steeking that you did! I admire your brave soul. 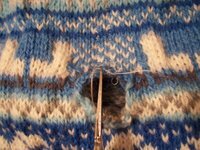 I'm not sure if I'll ever do steeking since there's not much call for Fair Isle sweater in the tropics, but I sure enjoy following your progress and it sure looks fun to knit! 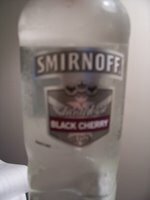 Ooh, Smirnoff makes black cherry vodka?! Why did I not know about this? The vest looks adorable. Excellent steeking. You'll have to tell me how long the embroidery takes...I keep trying to convince myself that I don't have time to make that vest for me (I'm oh so much bigger than the child sizes you're making), and the idea of getting all done the knitting and steeking THEN having to embroider cottage windows, snowman noses, and ice skate blades is daunting. Great work, and brave done. 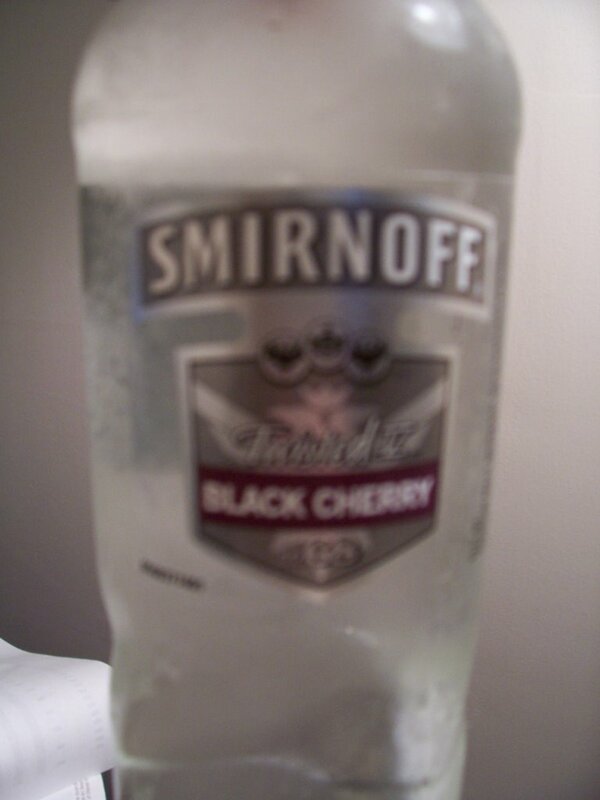 I The jacket looks really fine, so does the vodka. OH you are soo curagious!! 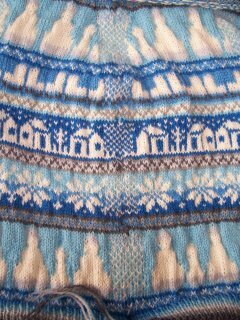 I love the sweater so far. Excellent! I like the helper very much. Go you! Well done. I'm glad to see evidence of the handsewn steek working. That's how I'd do it too, since my sewing machine doesn't work. Congratulations on the steeks! 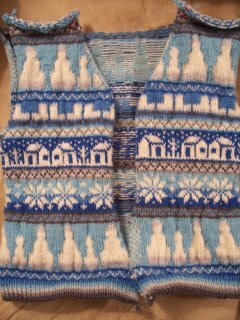 The vest will be adorable.. and not everyone made it to Rhinebeck- I spent the weekend recovering from the Ick (some weird virus). 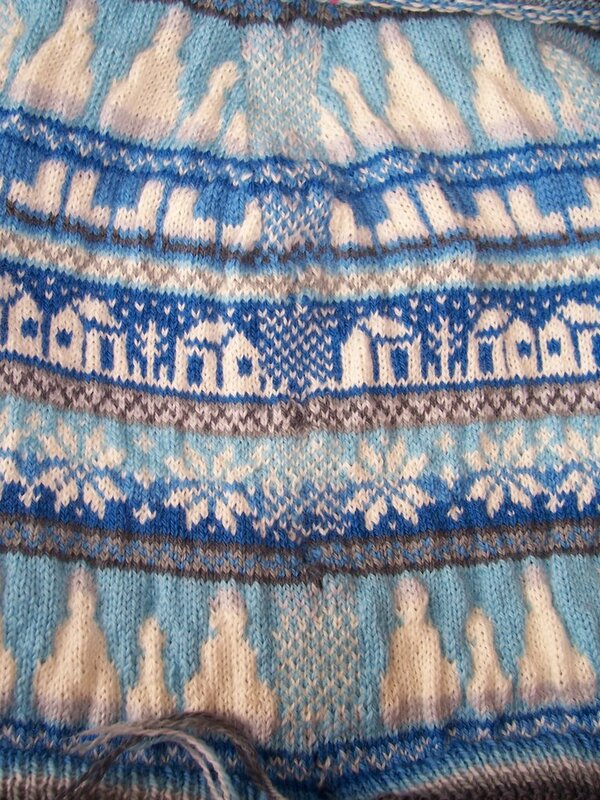 OMGoodness, my heart skipped a beat when I looked at the fair isle you were about to cut! 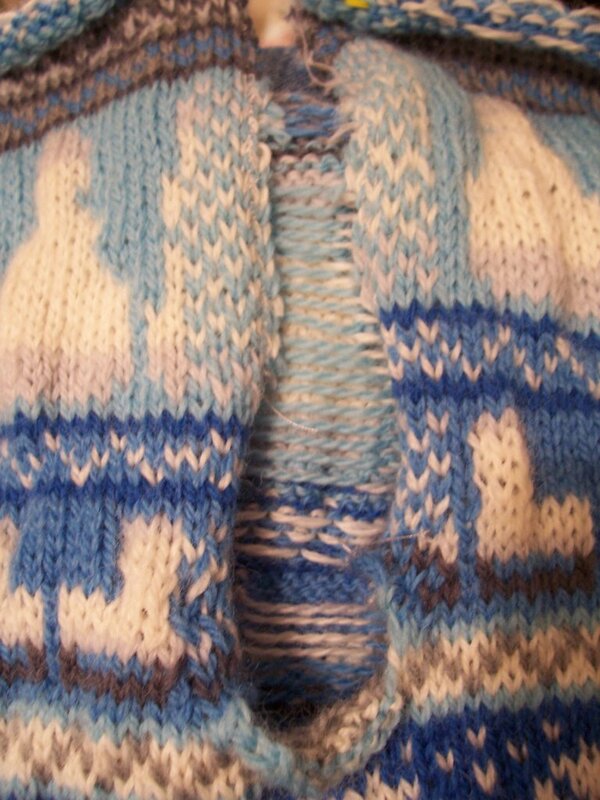 I've not yet gotten the nerves of steel to steek...I think I'll use the hand sewn steek method, too! Great Steeking! If only the West Coast HAD a rhinebeck, I'd be there.